Barcelona line-up: Valdés, Alves, Piqué, Mascherano, Alba, Busquets, Xavi, Iniesta, Pedro, Alexis and Lionel Messi. 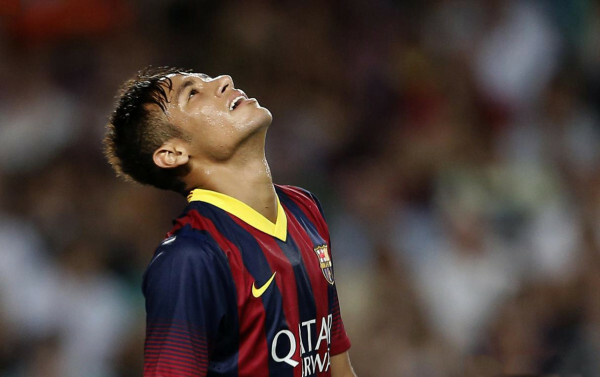 Barcelona ran over Santos earlier tonight at the Camp Nou, beating the Brazilian side by a clear 8-0. 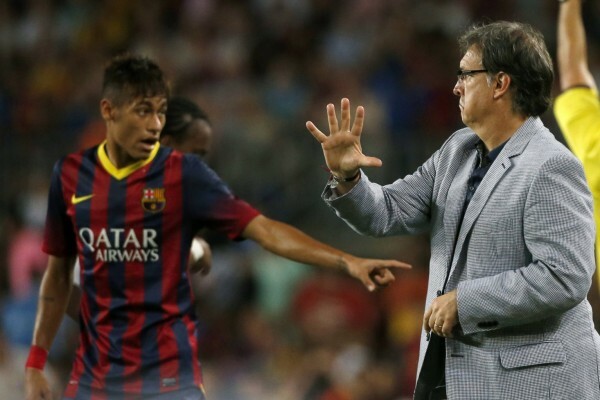 Neymar‘s former club visited the Condal city to dispute the Joan Gamper’s trophy, but left several key players back in Brazil resting for the official tournaments where they are actually competing. As a result, Santos got completely dominated by a Barcelona side that started showing some vintage tiki-taka plays. 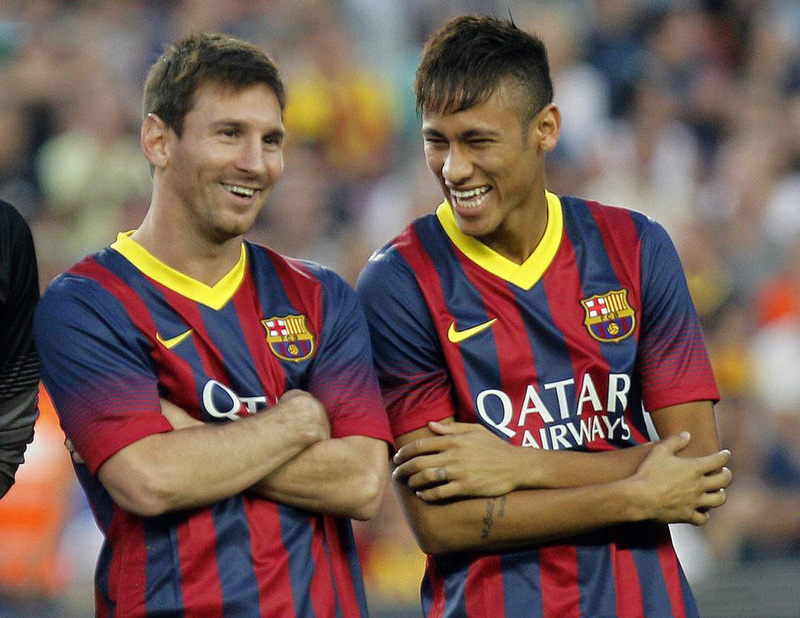 Neymar started off on the bench, but came on for the second half and finally had some playing time next to Lionel Messi. The Argentinian would leave the pitch later on, near the 62nd minute, giving place to a youngster named Doungou, who actually ended up causing a great impression in this game. 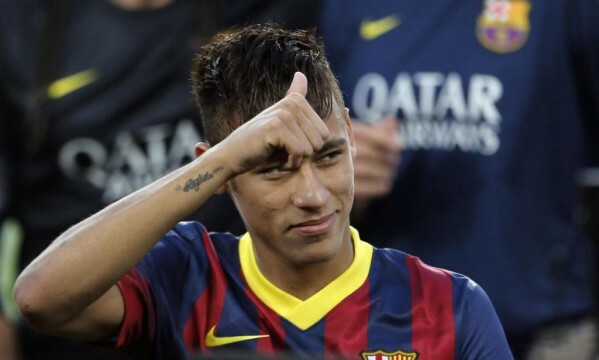 It was the first game Neymar played in the Camp Nou and even though he didn’t manage to score any goal yet, he still assisted Fabregas for one of the 8 goals his teams has scored. 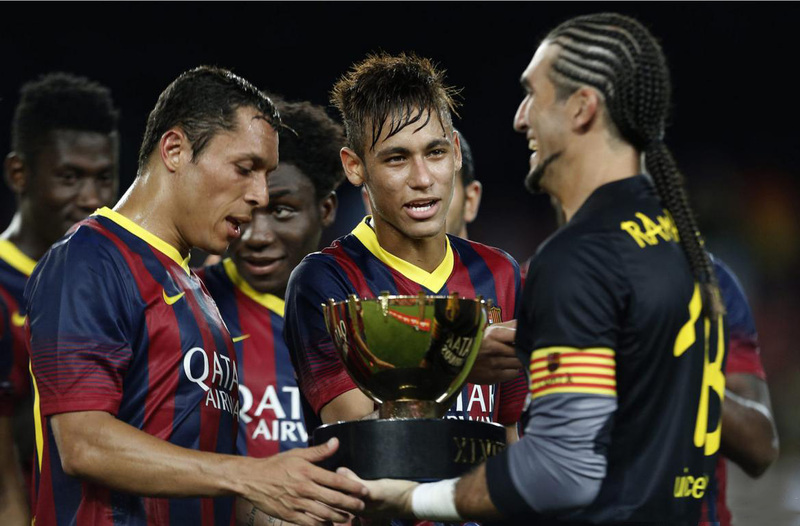 Barcelona will now head to Thailand to play with the local National Team, on August 5.